Hi, Mike Walker from the Gold Medal Swim School. You know, it’s 2019 Registration Shirt time. I always love the shirts. I think they are fun and cute. However, this registration shirt is a little more important to me. This one has the names of swimming legends on the back and includes my uncle, Michael Troy. He really taught me that loving swimming, loving being in the water, and competitive swimming is all part of a club, a fraternity or a sorority, that you are a part of when you become a swimmer. I think a swimmer really is defined as someone who can relaxand really bein water. That is what swimming is all about at Gold Medal Swim School. Whether you are a Starfish, a Dolphin, or on the Swim Team, our Core Values of Relaxation and Air Regulation really bring you into the club. Swimming is a very personal thing, even for your kids. They have their head in the water and we can’t yell and scream at them like we do at soccer games. They have to do it on their own. I love that even at a young age, you get to tryin your own way and that alone makes you a swimmer. It makes you a part of the legends of the sport because you are on this path. 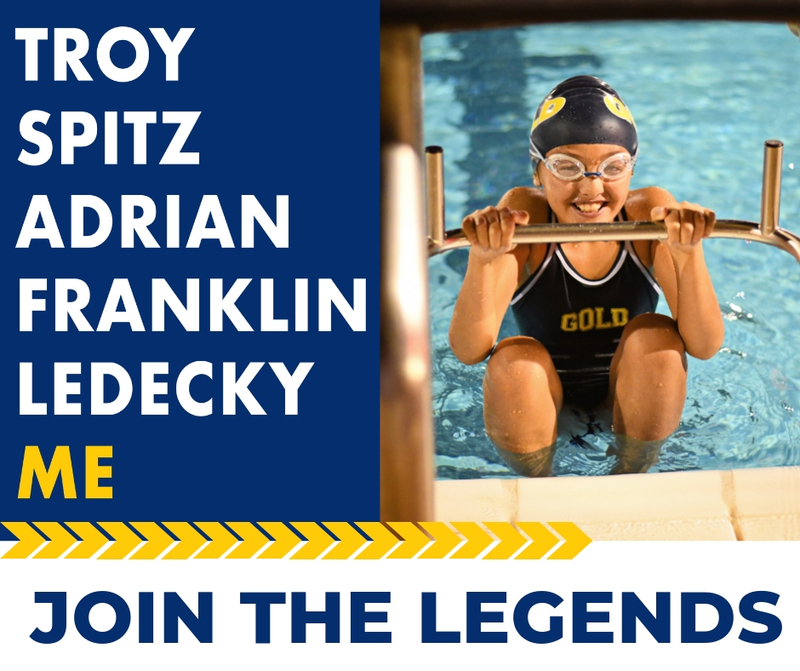 I am really glad you share it with us and I love that at our school we really believe those Core Values, those key things that have made those legends, are the same things we give to your kids. Welcome to 2019. Enjoy being apart of the swimming community and most of all, I appreciate you loving the pool.